You know, I have realized that way back then we didn’t take a whole hell of a lot of pictures. Even funnier, I hung out with Ken Baker who took just about every picture in the yearbook and we still didn’t take any pics of day to day life in the school. So, here’s a pic from after we gradded. 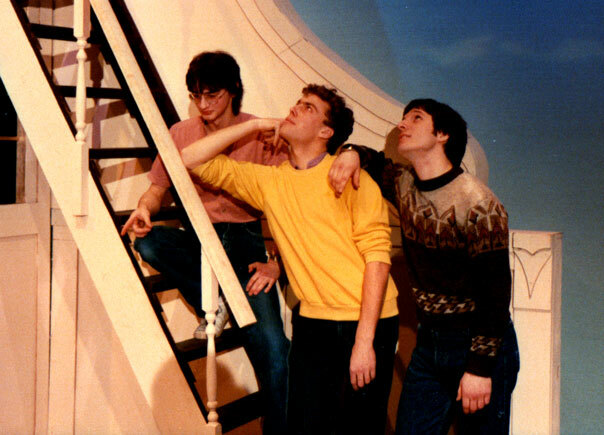 This is Ken Baker, myself and Rudy Stebih on the set of Pinafore at the MacPherson Theatre in January 1984, I think.